CARFAX 1-Owner, Superb Condition, BMW Certified, LOW MILES - 31,462! EPA 35 MPG Hwy/23 MPG City! Onboard Communications System AND MORE! KEY FEATURES INCLUDE All Wheel Drive, Rear Air, Turbocharged, iPod/MP3 Input, CD Player, Onboard Communications System, Aluminum Wheels, Keyless Start, Dual Zone A/C BMW 320i xDrive with Alpine White exterior and Black SensaTec interior features a 4 Cylinder Engine with 180 HP at 5000 RPM*. MP3 Player, Keyless Entry, Child Safety Locks, Steering Wheel Controls, Heated Mirrors. Serviced here, Non-Smoker vehicle, Originally bought here. EXPERTS CONCLUDE Edmunds.com's review says Excellent ride and handling balance; powerful and fuel-efficient engines; upscale interior with straightforward controls and spacious seating.. BUY WITH CONFIDENCE CARFAX 1-Owner Unlimited Miles for 1-Year plus the balance of original new vehicle warranty (4-Year/50,000-Miles), 24-Hour BMW Roadside Assistance, Comprehensive Inspection and Reconditioning, Trip-Interruption Services, Trip-Planning Services Pricing analysis performed on 2/1/2019. Horsepower calculations based on trim engine configuration. Fuel economy calculations based on original manufacturer data for trim engine configuration. Please confirm the accuracy of the included equipment by calling us prior to purchase. BMW Certified, CARFAX 1-Owner, Excellent Condition, GREAT MILES 36,936! EPA 34 MPG Hwy/22 MPG City! Moonroof, Heated Seats CLICK NOW! KEY FEATURES INCLUDE All Wheel Drive, Rear Air, Turbocharged, iPod/MP3 Input, CD Player, Onboard Communications System, Aluminum Wheels, Keyless Start, Dual Zone A/C. BMW 328i xDrive with Glacier Silver Metallic exterior and Black interior features a 4 Cylinder Engine with 240 HP at 5000 RPM*. OPTION PACKAGES MOONROOF, HEATED FRONT SEATS. MP3 Player, Keyless Entry, Child Safety Locks, Steering Wheel Controls, Heated Mirrors. Serviced here, Non-Smoker vehicle, Originally bought here. EXPERTS REPORT Edmunds.com explains From its sporty driving character to its refined ride and cabin, the 2016 BMW 3 Series is exceptionally well rounded. It's a highly desirable compact luxury sport sedan, and one of our favorites in this class.. PURCHASE WITH CONFIDENCE Unlimited Miles for 1-Year plus the balance of original new vehicle warranty (4-Year/50,000-Miles), 24-Hour BMW Roadside Assistance, Comprehensive Inspection and Reconditioning, Trip-Interruption Services, Trip-Planning Services Pricing analysis performed on 2/1/2019. Horsepower calculations based on trim engine configuration. Fuel economy calculations based on original manufacturer data for trim engine configuration. Please confirm the accuracy of the included equipment by calling us prior to purchase. Superb Condition, CARFAX 1-Owner, BMW Certified, GREAT MILES 29,284! EPA 33 MPG Hwy/22 MPG City! Navigation, Sunroof, Heated Seats CLICK ME! KEY FEATURES INCLUDE All Wheel Drive, Rear Air, Turbocharged, iPod/MP3 Input, CD Player, Onboard Communications System, Aluminum Wheels, Dual Zone A/C BMW 328i xDrive with Alpine White exterior and Venetian Beige interior features a 4 Cylinder Engine with 240 HP at 5000 RPM*. OPTION PACKAGES PREMIUM PACKAGE Moonroof, Satellite Radio, Comfort Access Keyless Entry, Lumbar Support, NAVIGATION SYSTEM W/TOUCHPAD Remote Services, Advanced Real-Time Traffic Information, BMW Online & BMW Apps, Instrument Cluster w/Extended Contents, COLD WEATHER PACKAGE Heated Front Seats, Heated Rear Seats, Heated Steering Wheel, Retractable Headlight Washers, TRANSMISSION: 8-SPEED STEPTRONIC AUTOMATIC (STD), POWER FRONT SEATS W/DRIVER SEAT MEMORY (STD), DARK BURL WALNUT WOOD TRIM. Child Safety Locks, Steering Wheel Controls, Electronic Stability Control, Heated Mirrors, Electrochromic rearview mirror. Serviced here, Non-Smoker vehicle, Originally bought here. EXPERTS ARE SAYING Edmunds.com's review says Excellent ride and handling balance; powerful and fuel-efficient engines; upscale interior with straightforward controls and spacious seating.. SHOP WITH CONFIDENCE Unlimited Miles for 1-Year plus the balance of original new vehicle warranty (4-Year/50,000-Miles), 24-Hour BMW Roadside Assistance, Comprehensive Inspection and Reconditioning, Trip-Interruption Services, Trip-Planning Services Pricing analysis performed on 2/1/2019. Horsepower calculations based on trim engine configuration. Fuel economy calculations based on original manufacturer data for trim engine configuration. Please confirm the accuracy of the included equipment by calling us prior to purchase. CARFAX 1-Owner, BMW Certified, Superb Condition, GREAT MILES 31,250! FUEL EFFICIENT 35 MPG Hwy/23 MPG City! Heated Seats, Sunroof CLICK ME! KEY FEATURES INCLUDE All Wheel Drive, Turbocharged, iPod/MP3 Input, CD Player, Onboard Communications System, Aluminum Wheels, Keyless Start, Dual Zone A/C BMW 228i xDrive with Jet Black exterior and Black interior features a 4 Cylinder Engine with 240 HP at 5000 RPM*. OPTION PACKAGES MOONROOF, POWER FRONT SEATS, HEATED FRONT SEATS. MP3 Player, Keyless Entry, Steering Wheel Controls, Heated Mirrors, Electronic Stability Control. Serviced here, Non-Smoker vehicle, Originally bought here. EXPERTS RAVE Edmunds.com's review says The ultra-supportive sport seats that are now standard on all versions of the 2 Series provide a high degree of adjustability and are comfortable even on long treks.. BUY WITH CONFIDENCE CARFAX 1-Owner Unlimited Miles for 1-Year plus the balance of original new vehicle warranty (4-Year/50,000-Miles), 24-Hour BMW Roadside Assistance, Comprehensive Inspection and Reconditioning, Trip-Interruption Services, Trip-Planning Services Pricing analysis performed on 4/24/2019. Horsepower calculations based on trim engine configuration. Fuel economy calculations based on original manufacturer data for trim engine configuration. Please confirm the accuracy of the included equipment by calling us prior to purchase. Excellent Condition, BMW Certified, CARFAX 1-Owner, LOW MILES - 17,017! Nav System, Moonroof, Heated Seats, All Wheel Drive READ MORE! KEY FEATURES INCLUDE All Wheel Drive, Rear Air, Turbocharged, iPod/MP3 Input, CD Player, Onboard Communications System, Aluminum Wheels, Keyless Start, Dual Zone A/C. BMW 328i xDrive with Jet Black exterior and Black interior features a 4 Cylinder Engine with 240 HP at 5000 RPM*. OPTION PACKAGES NAVIGATION SYSTEM Remote Services, Advanced Real-Time Traffic Information, BMW Online & BMW Apps, Instrument Cluster w/Extended Contents, MOONROOF, DRIVER ASSISTANCE PACKAGE Rear View Camera, Park Distance Control, HEATED FRONT SEATS. Keyless Entry, Steering Wheel Controls, Child Safety Locks, Electronic Stability Control, Heated Mirrors. Serviced here, Non-Smoker vehicle, Originally bought here. VEHICLE REVIEWS Edmunds.com explains From its sporty driving character to its refined ride and cabin, the 2016 BMW 3 Series is exceptionally well rounded. It's a highly desirable compact luxury sport sedan, and one of our favorites in this class.. PURCHASE WITH CONFIDENCE Unlimited Miles for 1-Year plus the balance of original new vehicle warranty (4-Year/50,000-Miles), 24-Hour BMW Roadside Assistance, Comprehensive Inspection and Reconditioning, Trip-Interruption Services, Trip-Planning Services Pricing analysis performed on 4/24/2019. Horsepower calculations based on trim engine configuration. Fuel economy calculations based on original manufacturer data for trim engine configuration. Please confirm the accuracy of the included equipment by calling us prior to purchase. FUEL EFFICIENT 33 MPG Hwy/22 MPG City! BMW Certified, Excellent Condition, CARFAX 1-Owner. Moonroof, Heated Seats, Navigation CLICK NOW! KEY FEATURES INCLUDE All Wheel Drive, Rear Air, Turbocharged, iPod/MP3 Input, CD Player, Onboard Communications System, Dual Zone A/C OPTION PACKAGES PREMIUM PACKAGE Moonroof, Satellite Radio, Comfort Access Keyless Entry, Lumbar Support, NAVIGATION SYSTEM W/TOUCHPAD Remote Services, Advanced Real-Time Traffic Information, BMW Online & BMW Apps, Instrument Cluster w/Extended Contents, LUXURY LINE chrome design elements (bumper accents, air intakes w/line specific design, kidney bars and exhaust pipe finishers), chrome rings around center stack, A/C and radio controls, high-gloss black B-pillar and signature key, Wheels: 18 x 8 Light Alloy Multi-Spoke (Style 416), Tires: P225/45R18 All Season, Luxury Line Aesthetic Elements, Remove Increased Top Speed, Anthracite Wood Trim, Without Lines Designation Outside, Pearl Gloss Chrome Highlight Trim Finishers, DRIVER ASSISTANCE PACKAGE Rear View Camera, Park Distance Control, COLD WEATHER PACKAGE Heated Front Seats, Heated Rear Seats, Heated Steering Wheel, Retractable Headlight Washers, TRANSMISSION: 8-SPEED STEPTRONIC AUTOMATIC (STD), POWER FRONT SEATS W/DRIVER SEAT MEMORY (STD). Steering Wheel Controls, Child Safety Locks, Electronic Stability Control, Heated Mirrors, Electrochromic rearview mirror. Non-Smoker vehicle. SHOP WITH CONFIDENCE Unlimited Miles for 1-Year plus the balance of original new vehicle warranty (4-Year/50,000-Miles), 24-Hour BMW Roadside Assistance, Comprehensive Inspection and Reconditioning, Trip-Interruption Services, Trip-Planning Services Pricing analysis performed on 3/7/2019. Horsepower calculations based on trim engine configuration. Fuel economy calculations based on original manufacturer data for trim engine configuration. Please confirm the accuracy of the included equipment by calling us prior to purchase. CARFAX 1-Owner, BMW Certified, Excellent Condition. EPA 34 MPG Hwy/22 MPG City! Navigation, Moonroof, Heated Seats, All Wheel Drive READ MORE! KEY FEATURES INCLUDE All Wheel Drive, Rear Air, Turbocharged, iPod/MP3 Input, CD Player, Onboard Communications System, Aluminum Wheels, Dual Zone A/C. BMW 328i xDrive with Black Sapphire Metallic exterior and Saddle Brown/Dark Brown interior features a 4 Cylinder Engine with 240 HP at 5000 RPM*. OPTION PACKAGES PREMIUM PACKAGE LED Headlights, Moonroof, Satellite Radio, Comfort Access Keyless Entry, Lumbar Support, NAVIGATION SYSTEM Remote Services, Advanced Real-Time Traffic Information, BMW Online & BMW Apps, Instrument Cluster w/Extended Contents, DRIVER ASSISTANCE PACKAGE Rear View Camera, Park Distance Control, COLD WEATHER PACKAGE Heated Front Seats, Heated Rear Seats, Heated Steering Wheel. Child Safety Locks, Steering Wheel Controls, Electronic Stability Control, Heated Mirrors, Bucket Seats. Serviced here, Non-Smoker vehicle, Originally bought here. EXPERTS REPORT Edmunds.com's review says From its sporty driving character to its refined ride and cabin, the 2016 BMW 3 Series is exceptionally well rounded. It's a highly desirable compact luxury sport sedan, and one of our favorites in this class.. BUY WITH CONFIDENCE CARFAX 1-Owner Unlimited Miles for 1-Year plus the balance of original new vehicle warranty (4-Year/50,000-Miles), 24-Hour BMW Roadside Assistance, Comprehensive Inspection and Reconditioning, Trip-Interruption Services, Trip-Planning Services Pricing analysis performed on 4/11/2019. Horsepower calculations based on trim engine configuration. Fuel economy calculations based on original manufacturer data for trim engine configuration. Please confirm the accuracy of the included equipment by calling us prior to purchase. EPA 34 MPG Hwy/22 MPG City! BMW Certified, CARFAX 1-Owner, Superb Condition, LOW MILES - 26,919! Heated Seats, Sunroof, Rear Air CLICK ME! KEY FEATURES INCLUDE All Wheel Drive, Rear Air, Turbocharged, iPod/MP3 Input, CD Player, Onboard Communications System, Aluminum Wheels, Dual Zone A/C. BMW 328i xDrive with Mineral White Metallic exterior and Saddle Brown/Brown/Brown interior features a 4 Cylinder Engine with 240 HP at 5000 RPM*. OPTION PACKAGES PREMIUM PACKAGE LED Headlights, Moonroof, Satellite Radio, Comfort Access Keyless Entry, Lumbar Support, COLD WEATHER PACKAGE Heated Front Seats, Heated Rear Seats, Heated Steering Wheel, SPORT SEATS (STD). MP3 Player, Child Safety Locks, Steering Wheel Controls, Electronic Stability Control, Heated Mirrors. Serviced here, Non-Smoker vehicle, Originally bought here. EXPERTS REPORT Edmunds.com's review says From its sporty driving character to its refined ride and cabin, the 2016 BMW 3 Series is exceptionally well rounded. It's a highly desirable compact luxury sport sedan, and one of our favorites in this class.. A GREAT VALUE This 328i xDrive is priced $500 below Kelley Blue Book. SHOP WITH CONFIDENCE Unlimited Miles for 1-Year plus the balance of original new vehicle warranty (4-Year/50,000-Miles), 24-Hour BMW Roadside Assistance, Comprehensive Inspection and Reconditioning, Trip-Interruption Services, Trip-Planning Services Pricing analysis performed on 3/29/2019. Horsepower calculations based on trim engine configuration. Fuel economy calculations based on original manufacturer data for trim engine configuration. Please confirm the accuracy of the included equipment by calling us prior to purchase. BMW Certified, CARFAX 1-Owner, Excellent Condition. $1,400 below Kelley Blue Book! Moonroof, Heated Seats, Power Liftgate, CD Player SEE MORE! KEY FEATURES INCLUDE All Wheel Drive, Power Liftgate, Turbocharged, iPod/MP3 Input, CD Player, Onboard Communications System, Aluminum Wheels, Keyless Start, Dual Zone A/C. BMW xDrive28i with Alpine White exterior and Black interior features a 4 Cylinder Engine with 228 HP at 5000 RPM*. OPTION PACKAGES PANORAMIC MOONROOF, DRIVING ASSISTANCE PACKAGE Rear View Camera, Park Distance Control, Parking Assistant, COLD WEATHER PACKAGE Heated Front Seats, TRANSMISSION: 8-SPEED STEPTRONIC AUTOMATIC sport and manual shift modes and Adaptive Transmission Control (ATC) (STD). Rear Spoiler, MP3 Player, Remote Trunk Release, Privacy Glass, Keyless Entry. Serviced here, Non-Smoker vehicle, Originally bought here. EXPERTS ARE SAYING Edmunds.com's review says Strong performance from its turbocharged engine; one of the best-handling compact luxury crossovers you're going to find; class-leading cargo capacity; more rear passenger room than most other competitors; high-level interior fit, finish and materials. . PRICED TO MOVE This X1 xDrive28i is priced $1,400 below Kelley Blue Book. SHOP WITH CONFIDENCE Unlimited Miles for 1-Year plus the balance of original new vehicle warranty (4-Year/50,000-Miles), 24-Hour BMW Roadside Assistance, Comprehensive Inspection and Reconditioning, Trip-Interruption Services, Trip-Planning Services Pricing analysis performed on 3/11/2019. Horsepower calculations based on trim engine configuration. Fuel economy calculations based on original manufacturer data for trim engine configuration. Please confirm the accuracy of the included equipment by calling us prior to purchase. PRICED TO MOVE $1,400 below Kelley Blue Book! Excellent Condition, BMW Certified, CARFAX 1-Owner. NAV, Sunroof, Heated Seats READ MORE! KEY FEATURES INCLUDE All Wheel Drive, Power Liftgate, Turbocharged, iPod/MP3 Input, CD Player, Aluminum Wheels, Dual Zone A/C. BMW xDrive28i with Glacier Silver Metallic exterior and Black interior features a 4 Cylinder Engine with 240 HP at 5000 RPM*. OPTION PACKAGES NAVIGATION SYSTEM Remote Services, Advanced Real-Time Traffic Information, BMW Online & BMW Apps, PANORAMIC MOONROOF, DRIVER ASSISTANCE PACKAGE Rear View Camera, Park Distance Control, HEATED FRONT SEATS, TRANSMISSION: 8-SPEED STEPTRONIC AUTOMATIC (STD), POWER FRONT BUCKET SEATS 8-way power adjustable front seats w/2-way manual headrests (STD). Rear Spoiler, Keyless Entry, Privacy Glass, Remote Trunk Release, Child Safety Locks. Serviced here, Non-Smoker vehicle, Originally bought here. EXPERTS REPORT Edmunds.com's review says Room for front passengers is ample by every measure, while rear legroom is downright generous and pairs with a truly comfortable seat.. EXCELLENT VALUE This X3 xDrive28i is priced $1,400 below Kelley Blue Book. 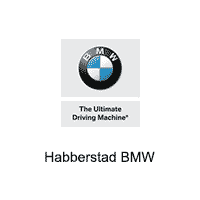 BUY WITH CONFIDENCE Unlimited Miles for 1-Year plus the balance of original new vehicle warranty (4-Year/50,000-Miles), 24-Hour BMW Roadside Assistance, Comprehensive Inspection and Reconditioning, Trip-Interruption Services, Trip-Planning Services Pricing analysis performed on 3/14/2019. Horsepower calculations based on trim engine configuration. Fuel economy calculations based on original manufacturer data for trim engine configuration. Please confirm the accuracy of the included equipment by calling us prior to purchase. CARFAX 1-Owner, BMW Certified, Excellent Condition. FUEL EFFICIENT 32 MPG Hwy/22 MPG City! NAV, Sunroof, Heated Seats, All Wheel Drive CLICK ME! KEY FEATURES INCLUDE All Wheel Drive, Power Liftgate, Turbocharged, iPod/MP3 Input, CD Player, Onboard Communications System, Aluminum Wheels, Keyless Start, Dual Zone A/C. BMW xDrive28i with Alpine White exterior and Black interior features a 4 Cylinder Engine with 228 HP at 5000 RPM*. OPTION PACKAGES PANORAMIC MOONROOF, NAVIGATION BUSINESS Remote Services, Advanced Real-Time Traffic Information, BMW Connected App Compatibility, BMW Online & BMW Apps, DRIVER ASSISTANCE PACKAGE Rear View Camera, Park Distance Control, Parking Assistant, COLD WEATHER PACKAGE Heated Front Seats, TRANSMISSION: 8-SPEED STEPTRONIC AUTOMATIC sport and manual shift modes and Adaptive Transmission Control (ATC) (STD), RUNFLAT TIRES. Rear Spoiler, MP3 Player, Remote Trunk Release, Privacy Glass, Keyless Entry. Serviced here, Non-Smoker vehicle, Originally bought here. EXPERTS ARE SAYING Edmunds.com's review says Spacious interior with high-quality furnishings; smooth and strong four-cylinder engine with better-than-average fuel economy.. PURCHASE WITH CONFIDENCE CARFAX 1-Owner Unlimited Miles for 1-Year plus the balance of original new vehicle warranty (4-Year/50,000-Miles), 24-Hour BMW Roadside Assistance, Comprehensive Inspection and Reconditioning, Trip-Interruption Services, Trip-Planning Services Pricing analysis performed on 4/24/2019. Horsepower calculations based on trim engine configuration. Fuel economy calculations based on original manufacturer data for trim engine configuration. Please confirm the accuracy of the included equipment by calling us prior to purchase. CARFAX 1-Owner, BMW Certified, Superb Condition, ONLY 27,070 Miles! FUEL EFFICIENT 32 MPG Hwy/22 MPG City! Heated Seats, Sunroof CLICK ME! KEY FEATURES INCLUDE All Wheel Drive, Power Liftgate, Turbocharged, iPod/MP3 Input, CD Player, Onboard Communications System, Aluminum Wheels, Keyless Start, Dual Zone A/C BMW xDrive28i with Jet Black exterior and Black interior features a 4 Cylinder Engine with 228 HP at 5000 RPM*. OPTION PACKAGES PANORAMIC MOONROOF, DRIVER ASSISTANCE PACKAGE Rear View Camera, Park Distance Control, Parking Assistant, COLD WEATHER PACKAGE Heated Front Seats, TRANSMISSION: 8-SPEED STEPTRONIC AUTOMATIC sport and manual shift modes and Adaptive Transmission Control (ATC) (STD), RUNFLAT TIRES. Rear Spoiler, MP3 Player, Remote Trunk Release, Privacy Glass, Keyless Entry. Serviced here, Non-Smoker vehicle, Originally bought here. EXPERTS RAVE Spacious interior with high-quality furnishings; smooth and strong four-cylinder engine with better-than-average fuel economy. -Edmunds.com. SHOP WITH CONFIDENCE CARFAX 1-Owner Unlimited Miles for 1-Year plus the balance of original new vehicle warranty (4-Year/50,000-Miles), 24-Hour BMW Roadside Assistance, Comprehensive Inspection and Reconditioning, Trip-Interruption Services, Trip-Planning Services Pricing analysis performed on 2/1/2019. Horsepower calculations based on trim engine configuration. Fuel economy calculations based on original manufacturer data for trim engine configuration. Please confirm the accuracy of the included equipment by calling us prior to purchase. $1,200 below Kelley Blue Book! BMW Certified, Excellent Condition, CARFAX 1-Owner. Navigation, Sunroof, Heated Seats, CD Player AND MORE! KEY FEATURES INCLUDE All Wheel Drive, Power Liftgate, Turbocharged, iPod/MP3 Input, CD Player, Aluminum Wheels, Dual Zone A/C BMW xDrive28i with Black Sapphire Metallic exterior and Black interior features a 4 Cylinder Engine with 240 HP at 5000 RPM*. OPTION PACKAGES NAVIGATION SYSTEM Remote Services, Advanced Real-Time Traffic Information, BMW Online & BMW Apps, PANORAMIC MOONROOF, DRIVER ASSISTANCE PACKAGE Rear View Camera, Park Distance Control, HEATED FRONT SEATS, TRANSMISSION: 8-SPEED STEPTRONIC AUTOMATIC (STD), POWER FRONT BUCKET SEATS 8-way power adjustable front seats w/2-way manual headrests (STD). Rear Spoiler, Keyless Entry, Privacy Glass, Remote Trunk Release, Child Safety Locks. Serviced here, Non-Smoker vehicle, Originally bought here. EXPERTS RAVE Edmunds.com explains Room for front passengers is ample by every measure, while rear legroom is downright generous and pairs with a truly comfortable seat.. A GREAT TIME TO BUY This X3 xDrive28i is priced $1,200 below Kelley Blue Book. SHOP WITH CONFIDENCE Unlimited Miles for 1-Year plus the balance of original new vehicle warranty (4-Year/50,000-Miles), 24-Hour BMW Roadside Assistance, Comprehensive Inspection and Reconditioning, Trip-Interruption Services, Trip-Planning Services Pricing analysis performed on 4/12/2019. Horsepower calculations based on trim engine configuration. Fuel economy calculations based on original manufacturer data for trim engine configuration. Please confirm the accuracy of the included equipment by calling us prior to purchase. CARFAX 1-Owner, Superb Condition, BMW Certified, ONLY 23,677 Miles! Nav System, Moonroof, Heated Seats, Aluminum Wheels, CD Player CLICK ME! KEY FEATURES INCLUDE All Wheel Drive, Power Liftgate, Turbocharged, iPod/MP3 Input, CD Player, Onboard Communications System, Aluminum Wheels, Keyless Start, Dual Zone A/C. BMW xDrive28i with Mineral Gray Metallic exterior and Black interior features a 4 Cylinder Engine with 228 HP at 5000 RPM*. OPTION PACKAGES PANORAMIC MOONROOF, NAVIGATION BUSINESS Remote Services, Advanced Real-Time Traffic Information, BMW Connected App Compatibility, BMW Online & BMW Apps, DRIVER ASSISTANCE PACKAGE Rear View Camera, Park Distance Control, Parking Assistant, COLD WEATHER PACKAGE Heated Front Seats, FINE-WOOD 'FINELINE' TRIM W/PEARL CHROME ACCENT, TRANSMISSION: 8-SPEED STEPTRONIC AUTOMATIC sport and manual shift modes and Adaptive Transmission Control (ATC) (STD), RUNFLAT TIRES. Rear Spoiler, MP3 Player, Privacy Glass, Keyless Entry, Remote Trunk Release. Serviced here, Non-Smoker vehicle, Originally bought here. EXPERTS REPORT Edmunds.com explains Spacious interior with high-quality furnishings; smooth and strong four-cylinder engine with better-than-average fuel economy.. PURCHASE WITH CONFIDENCE CARFAX 1-Owner Unlimited Miles for 1-Year plus the balance of original new vehicle warranty (4-Year/50,000-Miles), 24-Hour BMW Roadside Assistance, Comprehensive Inspection and Reconditioning, Trip-Interruption Services, Trip-Planning Services Pricing analysis performed on 2/11/2019. Horsepower calculations based on trim engine configuration. Fuel economy calculations based on original manufacturer data for trim engine configuration. Please confirm the accuracy of the included equipment by calling us prior to purchase. EPA 34 MPG Hwy/22 MPG City! BMW Certified, Superb Condition, CARFAX 1-Owner, ONLY 13,524 Miles! Nav System, Moonroof, Heated Seats CLICK NOW! KEY FEATURES INCLUDE All Wheel Drive, Rear Air, Turbocharged, iPod/MP3 Input, CD Player, Onboard Communications System, Aluminum Wheels, Dual Zone A/C. BMW 328i xDrive with Alpine White exterior and Black/Dark Oyster interior features a 4 Cylinder Engine with 240 HP at 5000 RPM*. OPTION PACKAGES PREMIUM PACKAGE LED Headlights, Moonroof, Satellite Radio, Comfort Access Keyless Entry, Lumbar Support, NAVIGATION SYSTEM Remote Services, Advanced Real-Time Traffic Information, BMW Online & BMW Apps, Instrument Cluster w/Extended Contents, DRIVER ASSISTANCE PACKAGE Rear View Camera, Park Distance Control, COLD WEATHER PACKAGE Heated Front Seats, Heated Rear Seats, Heated Steering Wheel. Child Safety Locks, Steering Wheel Controls, Electronic Stability Control, Heated Mirrors, Bucket Seats. Serviced here, Non-Smoker vehicle, Originally bought here. EXPERTS ARE SAYING Edmunds.com explains From its sporty driving character to its refined ride and cabin, the 2016 BMW 3 Series is exceptionally well rounded. It's a highly desirable compact luxury sport sedan, and one of our favorites in this class.. BUY WITH CONFIDENCE Unlimited Miles for 1-Year plus the balance of original new vehicle warranty (4-Year/50,000-Miles), 24-Hour BMW Roadside Assistance, Comprehensive Inspection and Reconditioning, Trip-Interruption Services, Trip-Planning Services Pricing analysis performed on 2/1/2019. Horsepower calculations based on trim engine configuration. Fuel economy calculations based on original manufacturer data for trim engine configuration. Please confirm the accuracy of the included equipment by calling us prior to purchase. CARFAX 1-Owner, Excellent Condition, BMW Certified, GREAT MILES 29,194! $1,100 below Kelley Blue Book! NAV, Sunroof, Heated Seats READ MORE! KEY FEATURES INCLUDE Navigation, Sunroof, All Wheel Drive, Rear Air, Turbocharged, iPod/MP3 Input, CD Player, Onboard Communications System, Aluminum Wheels, Keyless Start, Dual Zone A/C, Smart Device Integration BMW 528i xDrive with Jet Black exterior and Black interior features a 4 Cylinder Engine with 240 HP at 5000 RPM*. OPTION PACKAGES PARK DISTANCE CONTROL, HEATED FRONT SEATS, REAR VIEW CAMERA, DARK WOOD TRIM. MP3 Player, Keyless Entry, Child Safety Locks, Steering Wheel Controls, Electronic Stability Control. Serviced here, Non-Smoker vehicle, Originally bought here. EXPERTS ARE SAYING Edmunds.com explains The base front seats are some of the comfiest and most supportive found in any car, and the available multicontour seats are even better, providing a wide range of adjustments and sublime support for all driving scenarios.. AFFORDABILITY This 528i xDrive is priced $1,100 below Kelley Blue Book. SHOP WITH CONFIDENCE CARFAX 1-Owner Unlimited Miles for 1-Year plus the balance of original new vehicle warranty (4-Year/50,000-Miles), 24-Hour BMW Roadside Assistance, Comprehensive Inspection and Reconditioning, Trip-Interruption Services, Trip-Planning Services Pricing analysis performed on 4/4/2019. Horsepower calculations based on trim engine configuration. Fuel economy calculations based on original manufacturer data for trim engine configuration. Please confirm the accuracy of the included equipment by calling us prior to purchase. CARFAX 1-Owner, Excellent Condition, BMW Certified. FUEL EFFICIENT 34 MPG Hwy/22 MPG City! NAV, Heated Seats, Sunroof, Rear Air AND MORE! KEY FEATURES INCLUDE Navigation, Sunroof, All Wheel Drive, Rear Air, Turbocharged, iPod/MP3 Input, CD Player, Onboard Communications System, Aluminum Wheels, Keyless Start, Dual Zone A/C, Smart Device Integration BMW 528i xDrive with Mineral Gray Metallic exterior and Black interior features a 4 Cylinder Engine with 240 HP at 5000 RPM*. OPTION PACKAGES DRIVER ASSISTANCE PACKAGE Rear View Camera, Head-Up Display, Park Distance Control, Instrument Cluster w/Extended Contents, HEATED FRONT SEATS, DARK WOOD TRIM. MP3 Player, Keyless Entry, Child Safety Locks, Steering Wheel Controls, Electronic Stability Control. Serviced here, Non-Smoker vehicle, Originally bought here. EXPERTS CONCLUDE Edmunds.com's review says The base front seats are some of the comfiest and most supportive found in any car, and the available multicontour seats are even better, providing a wide range of adjustments and sublime support for all driving scenarios.. EXCELLENT VALUE This 528i xDrive is priced $1,400 below Kelley Blue Book. PURCHASE WITH CONFIDENCE CARFAX 1-Owner Unlimited Miles for 1-Year plus the balance of original new vehicle warranty (4-Year/50,000-Miles), 24-Hour BMW Roadside Assistance, Comprehensive Inspection and Reconditioning, Trip-Interruption Services, Trip-Planning Services Pricing analysis performed on 4/22/2019. Horsepower calculations based on trim engine configuration. Fuel economy calculations based on original manufacturer data for trim engine configuration. Please confirm the accuracy of the included equipment by calling us prior to purchase. CARFAX 1-Owner, BMW Certified, Superb Condition, GREAT MILES 29,900! $2,100 below Kelley Blue Book! Navigation, Sunroof, Heated Seats SEE MORE! KEY FEATURES INCLUDE Navigation, Sunroof, All Wheel Drive, Rear Air, Turbocharged, iPod/MP3 Input, CD Player, Onboard Communications System, Aluminum Wheels, Dual Zone A/C, Smart Device Integration BMW 528i xDrive with Alpine White exterior and Cinnamon Brown interior features a 4 Cylinder Engine with 240 HP at 5000 RPM*. OPTION PACKAGES PREMIUM PACKAGE Power Tailgate, Satellite Radio, Comfort Access Keyless Entry, COLD WEATHER PACKAGE Heated Front Seats, Heated Rear Seats, Heated Steering Wheel, Retractable Headlight Washers, PARK DISTANCE CONTROL, REAR VIEW CAMERA, DARK WOOD TRIM. MP3 Player, Child Safety Locks, Steering Wheel Controls, Electronic Stability Control, Heated Mirrors. Serviced here, Non-Smoker vehicle, Originally bought here. VEHICLE REVIEWS Edmunds.com's review says The base front seats are some of the comfiest and most supportive found in any car, and the available multicontour seats are even better, providing a wide range of adjustments and sublime support for all driving scenarios.. A GREAT TIME TO BUY This 528i xDrive is priced $2,100 below Kelley Blue Book. BUY WITH CONFIDENCE CARFAX 1-Owner Unlimited Miles for 1-Year plus the balance of original new vehicle warranty (4-Year/50,000-Miles), 24-Hour BMW Roadside Assistance, Comprehensive Inspection and Reconditioning, Trip-Interruption Services, Trip-Planning Services Pricing analysis performed on 3/7/2019. Horsepower calculations based on trim engine configuration. Fuel economy calculations based on original manufacturer data for trim engine configuration. Please confirm the accuracy of the included equipment by calling us prior to purchase. Excellent Condition, BMW Certified, CARFAX 1-Owner, ONLY 13,910 Miles! WAS $30,900. Moonroof, Heated Seats, Power Liftgate AND MORE! KEY FEATURES INCLUDE All Wheel Drive, Power Liftgate, Turbocharged, iPod/MP3 Input, CD Player, Onboard Communications System, Aluminum Wheels, Dual Zone A/C. BMW xDrive28i with Mineral White Metallic exterior and Canberra Beige interior features a 4 Cylinder Engine with 228 HP at 5000 RPM*. OPTION PACKAGES PREMIUM PACKAGE Universal Garage-Door Opener, Auto-Dimming Interior & Driver Exterior Mirrors, Auto-Dimming Rearview Mirror, LED Headlights w/Cornering Lights, Power-Folding Mirrors, Panoramic Moonroof, Satellite Radio, Ambiance Lighting, Comfort Access Keyless Entry, Lumbar Support, DRIVER ASSISTANCE PACKAGE Rear View Camera, Park Distance Control, Parking Assistant, COLD WEATHER PACKAGE Heated Front Seats, FINE-WOOD 'FINELINE' TRIM W/PEARL CHROME ACCENT, TRANSMISSION: 8-SPEED STEPTRONIC AUTOMATIC sport and manual shift modes and Adaptive Transmission Control (ATC) (STD), RUNFLAT TIRES. Rear Spoiler, MP3 Player, Remote Trunk Release, Privacy Glass, Steering Wheel Controls. Serviced here, Non-Smoker vehicle, Originally bought here. EXPERTS REPORT Edmunds.com explains Spacious interior with high-quality furnishings; smooth and strong four-cylinder engine with better-than-average fuel economy.. AFFORDABLE Reduced from $30,900. PURCHASE WITH CONFIDENCE Unlimited Miles for 1-Year plus the balance of original new vehicle warranty (4-Year/50,000-Miles), 24-Hour BMW Roadside Assistance, Comprehensive Inspection and Reconditioning, Trip-Interruption Services, Trip-Planning Services Pricing analysis performed on 3/10/2019. Horsepower calculations based on trim engine configuration. Fuel economy calculations based on original manufacturer data for trim engine configuration. Please confirm the accuracy of the included equipment by calling us prior to purchase. CARFAX 1-Owner, Excellent Condition, BMW Certified, LOW MILES - 30,900! $700 below Kelley Blue Book! NAV, Sunroof, Heated Seats READ MORE! KEY FEATURES INCLUDE All Wheel Drive, Power Liftgate, Turbocharged, iPod/MP3 Input, CD Player, Aluminum Wheels, Dual Zone A/C. BMW xDrive28i with Alpine White exterior and Black interior features a 4 Cylinder Engine with 240 HP at 5000 RPM*. OPTION PACKAGES TECHNOLOGY PACKAGE Instrument Cluster w/Extended Contents, Head-Up Display, Navigation System, Remote Services, Advanced Real-Time Traffic Information, BMW Online & BMW Apps, PANORAMIC MOONROOF, DRIVER ASSISTANCE PACKAGE Rear View Camera, Park Distance Control, HEATED FRONT SEATS, TRANSMISSION: 8-SPEED STEPTRONIC AUTOMATIC (STD), POWER FRONT BUCKET SEATS 8-way power adjustable front seats w/2-way manual headrests (STD). Rear Spoiler, Keyless Entry, Privacy Glass, Remote Trunk Release, Child Safety Locks. Serviced here, Non-Smoker vehicle, Originally bought here. EXPERTS REPORT Room for front passengers is ample by every measure, while rear legroom is downright generous and pairs with a truly comfortable seat. -Edmunds.com. AFFORDABLE This X3 xDrive28i is priced $700 below Kelley Blue Book. PURCHASE WITH CONFIDENCE CARFAX 1-Owner Unlimited Miles for 1-Year plus the balance of original new vehicle warranty (4-Year/50,000-Miles), 24-Hour BMW Roadside Assistance, Comprehensive Inspection and Reconditioning, Trip-Interruption Services, Trip-Planning Services Pricing analysis performed on 3/7/2019. Horsepower calculations based on trim engine configuration. Fuel economy calculations based on original manufacturer data for trim engine configuration. Please confirm the accuracy of the included equipment by calling us prior to purchase.